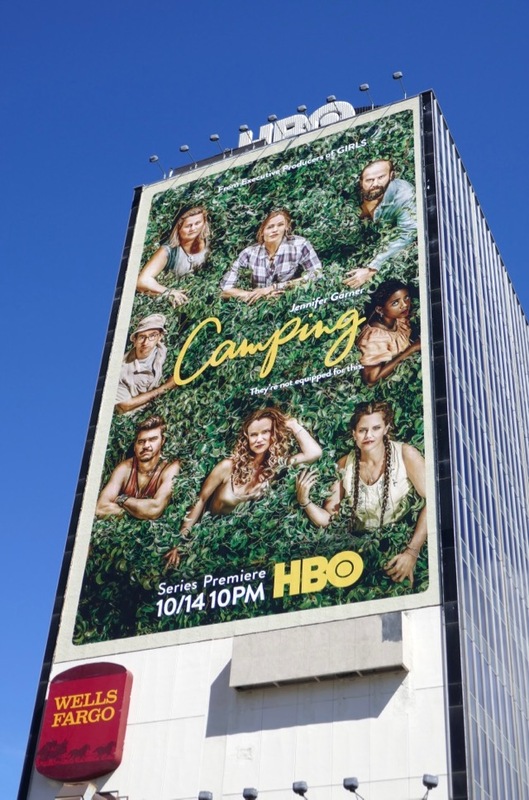 In HBO's remake of the British show Camping, Jennifer Garner stars as the obsessively organized and aggressively controlling wife of David Tennant who gathers their friends and family to enjoy the great outdoors to celebrate his 45th birthday. 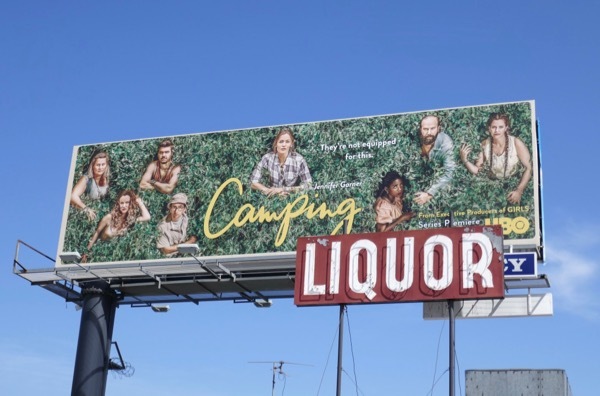 The people pitching their tents this fall with the not-so-happily married couple include Juliette Lewis, Ione Skye, Arturo del Puerto, Brett Gelman, Janicza Bravo and Bridgett Everett. 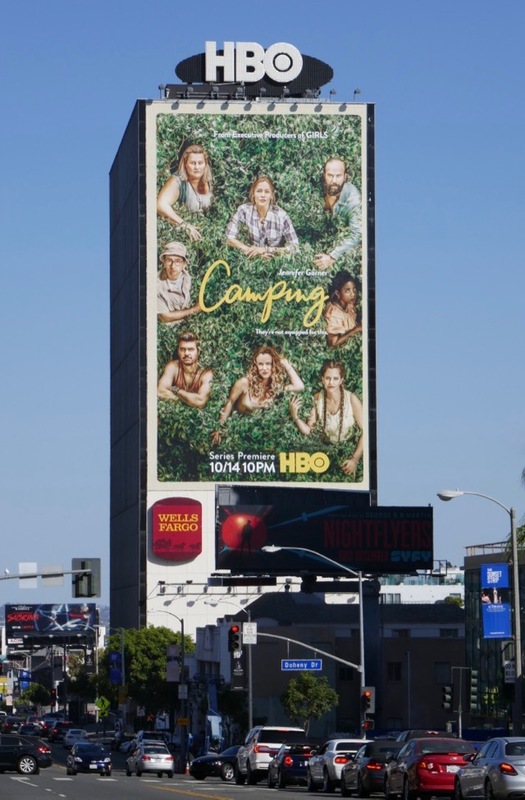 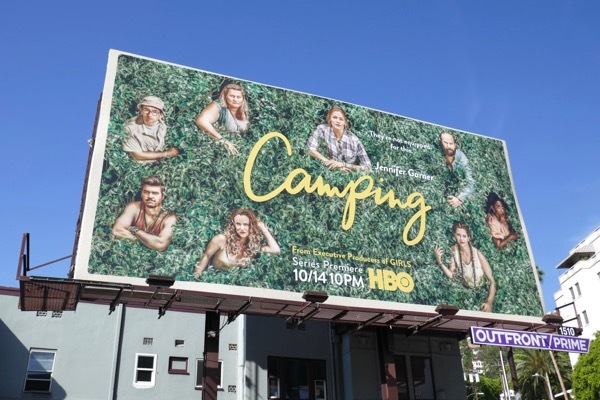 These leafy series launch billboards were snapped in multiple ad locations along Sunset Boulevard from September 27 to October 1, 2018. 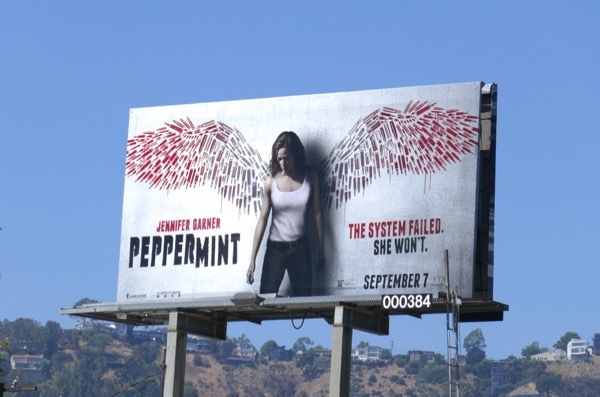 Fans of Jennifer Garner can also enjoy these movie billboards for Alexander and the Terrible, Horrible, No Good, Very Bad Day. 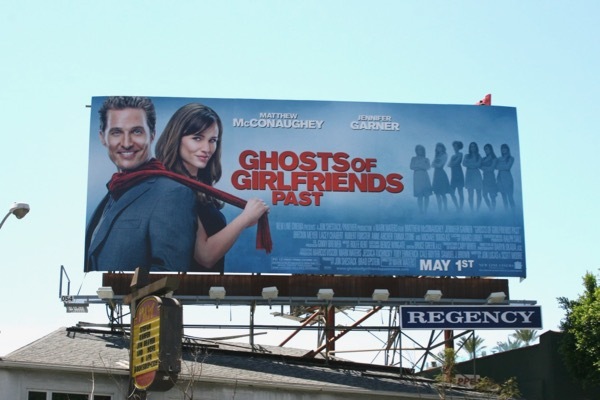 Meanwhile as a special bonus here's a billboard for the rom-com Ghosts of Girlfriends Past with Matthew McConaughey from above the Sunset Strip on April 25, 2009. 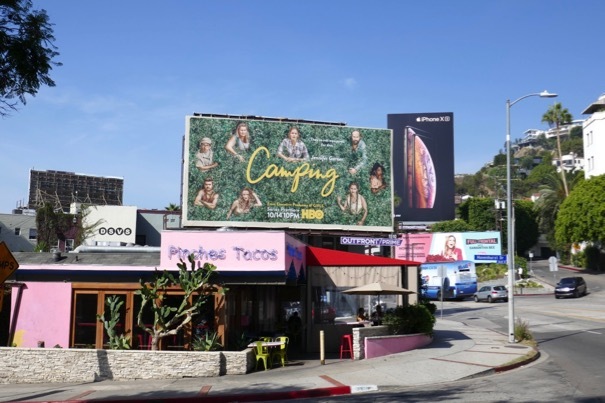 Plus here's a billboard for the recent revenge thriller, Peppermint, in which a mother and wife takes justice into her own hands avenges her murdered family, snapped along Fairfax Avenue on August 23, 2018. 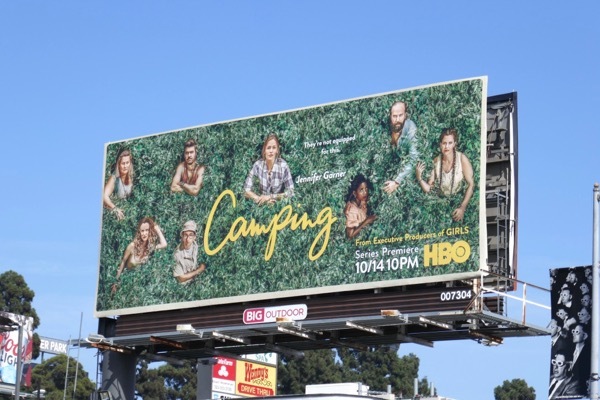 Not everyone enjoys camping out or can get along, so we're sure hilarity will ensue when human nature meets mother nature in the new HBO comedy.